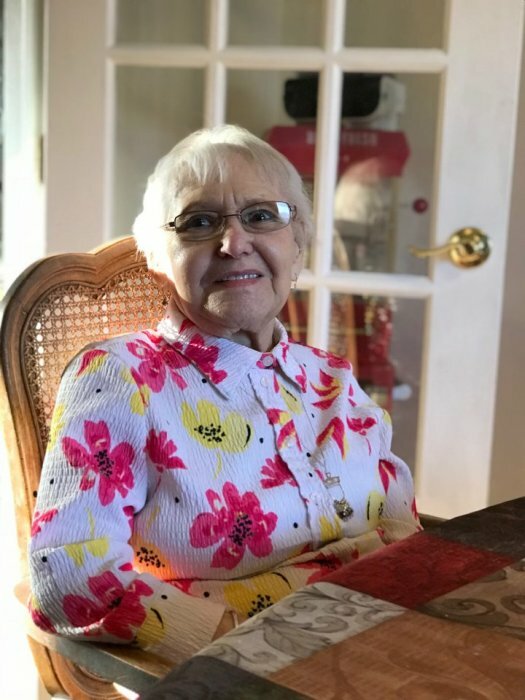 Nancy (Goodwin) Wilson, 82, passed away on November 13, 2018. She was born in Philadelphia, PA on April 17, 1936. Nancy is predeceased by her parents, Lowell and Florence Goodwin and her sister Joan, of Haddonfield, NJ. She attended Haddonfield High School and went on to secretarial school. Nancy worked for many years at Bechtel in Gaithersburg, MD and then Allstate Insurance Co. in Clarksburg, MD where she retired in 2001. Nancy was a devoted mother, grandmother and great-grandmother. She loved making her specialty, deviled eggs, and looked forward to special family gatherings. She loved to read, organize and make picture albums, and “play” on the computer. She was a great friend, had a great sense of humor and always wanted to help out where she could. Nancy was loved very much and will be missed by her family and friends. Nancy is survived by two children, her son Steve Cubbedge and wife Kathy of Auburn, MA, and her daughter Susan Randolph and her husband, Duane of Mt. Airy, MD. She is also survived by six grandchildren and their spouses, Leah and Alex Hallfors, Ashley Cubbedge, Stephanie Randolph & Taylor Maxsell, Dana and Dustin Steig, Chris Cubbedge, Leslie Randolph, two great-grandchildren, Scarlett and Parker and numerous nieces and nephews. The family will receive friends on Saturday, December 1, 2018 at 11:30 until the time of the memorial service at 12:00 at the Stauffer Funeral Home at 8 E. Ridgeville Blvd., Mount Airy, MD 21771. In lieu of flowers, donations may be made to www.//awoccf.org/donate/. For the Arms Wide Open Childhood Cancer Foundation.